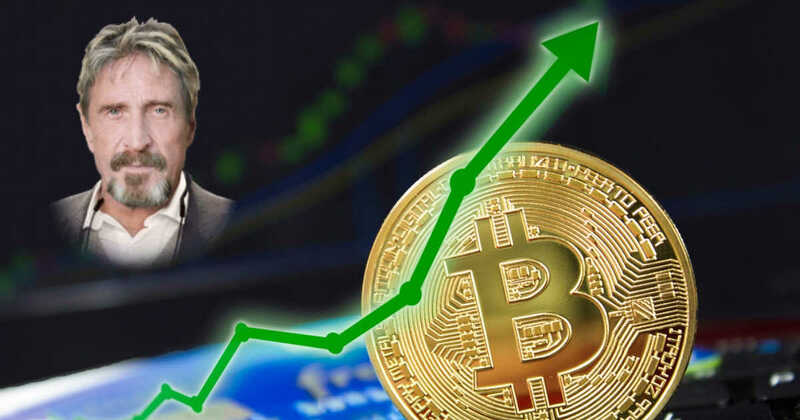 While there are many well-known figures in the cryptocurrency space that have either stopped giving price predictions, or backed away from giving concrete predictions – John Mcafee is doubling down, believing that Bitcoin will hit $1 million within 2 years. There are few figures in the cryptocurrency world as controversial and colorful as John Mcafee. Mcafee is actually not even in the United States anymore, as he fled the country to evade tax fraud charges. This doesn’t come as much of a surprise, considering that the cybersecurity pioneer has been open about the fact that he hasn’t filed a tax return in years. He has stated that he has “paid tens of millions already and hasn’t received ‘Jack S**t in return”. The cryptocurrency markets have cooled off, and many crypto-influencers that were once making bold predictions have backed off. However, Mcafee has now set a date for when he believes that 1 Bitcoin (BTC) will be worth $1 million, and it’s closer than you might think. Mcafee is one of the most well-known cryptocurrency figures on Twitter, where he boasts almost 900,000 followers. Unlike other cryptocurrency influencers and entrepreneurs, his tweets have been known to have a direct effect on the price action of certain cryptocurrencies, a phenomenon labeled “The Mcafee Effect”. He has even appeared in a parody rap music video by the same name, poking fun at his own influence. Even though Mcafee is technically on the run, it doesn’t mean that his influence has changed much. He still is running for president, even though he is on a boat in what many presume to be international waters, and even claims that thousands of masks are being used to deter and deceive authorities as he runs his campaign. Next articleWill Blockchain-Based Games Integrate Cryptocurrencies Successfully or Be Just a Pipe Dream?